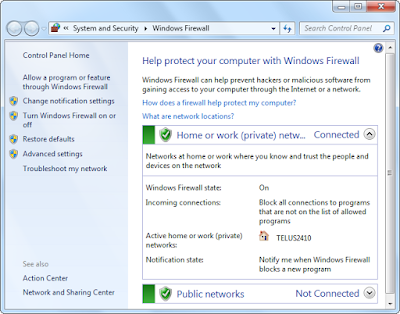 Tech articles: Firewall: What Does a Firewall Do? You may often hear the term firewall and firewall protection. Are you wondering how it helps in securing your computer or computer network? Let us find out from the following article on what does a firewall do? A firewall is either hardware or software based network security. It uses certain rules to keep the incoming and outgoing network traffic in control. A firewall is like a barrier that keeps the trusted network and the untrusted network apart. It controls access to the network resources using a positive control model. 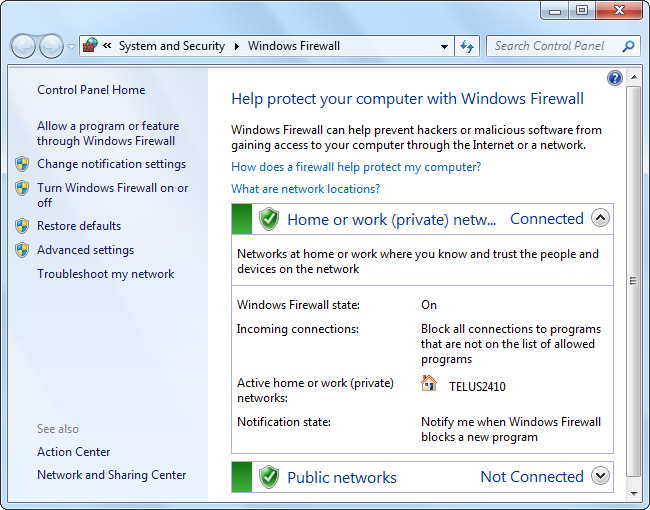 This means only traffic is allowed into a network is the traffic mentioned in its firewall policy. Traffic that does not fit the bill is barred from entering the network. There are two systems of firewall, the hardware and software firewall. The hardware firewalls systems are independent of the computers they protect. They filter information that is passed into the computer by examining the data flowing in from the Internet. It verifies if the information is safe and secure. Simple firewalls called the packet filters check the data for information related to it such as location and its source. This information collected is compared to a set of permissions that help determine whether the information should be stopped or allowed to reach the computer. Hardware firewalls have advanced greatly and can check more things related to the information. The major drawback of the hardware firewalls is that they only check the data received by the computer not the data sent from the computer. The software firewalls have two major advantages over hardware firewall. They can check the data sent by the computer that is outgoing traffic as well. This prevents a computer from turning into a bot or zombie and prevent it from broadcasting malware from its end. Secondly, software firewalls can be customized as per the needs of the user. This includes the permissions given to access certain programs such as online gaming or watching a video online. The major disadvantage of software firewall is that it can protect only one computer. All computers need to have their own individual licensed firewall product. On the other hand, hardware firewall can protect all the computers that are attached to it. It is a wise idea to use both software as well as hardware firewalls. They increase the protection of the computer and prevent spread of malware and malicious software. With so many malwares spreading online, it is important you take precautionary steps to prevent your computer from turning into a zombie or a bot.